In just a little over a month I'll be heading to Beijing, China. Whether you plan to visit China for fun or you're heading there for work, you're going to need a visa to enter the country. 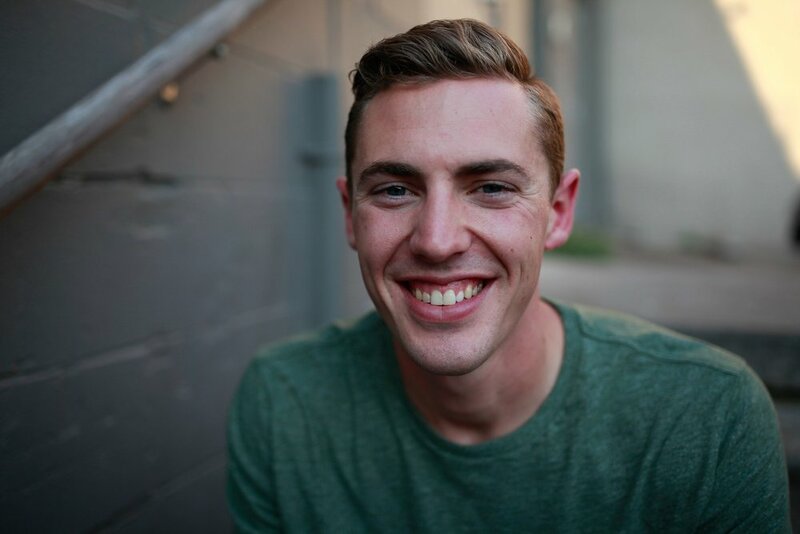 Elizabeth and I applied for our Chinese 10-year tourist visas earlier this year and I wanted to share my experience with you. For me, the thought of applying for a Chinese visa seemed overwhelming. What do I need? What if I don't have everything? How long will it take? After reading some reviews from other established travelers, I decided to use Allied Passport & Visa to facilitate our order. The prices for a Chinese visa vary depending on where you live and how fast you need it processed. 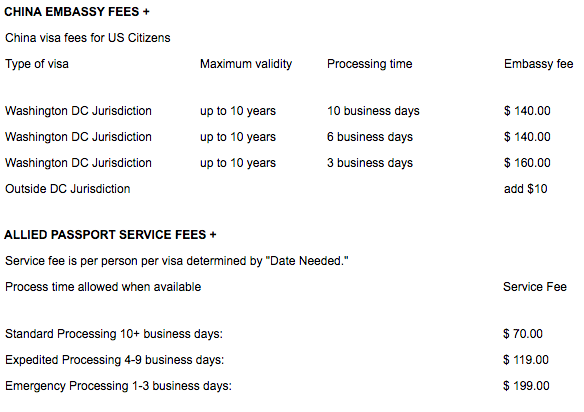 I live outside the DC Jurisdiction and chose the 10+ day processing, so my total was $220 per visa. After adding in the shipping cost, my grand total came out to be $242. I sent in my application and received a confirmation e-mail a few days later. I'm not sure why, but Elizabeth had to send in verification from her employer that our trip was not work related. My guess is it's because she works in higher education, but who knows. After that was submitted it was time for Allied Passport & Visa to do their thing. If you're someone who likes to know exactly what's going on, you can use Allied Passport & Visa's tracking system. You enter in your last name and date of birth and they tell you which stage in the process your visa is at. 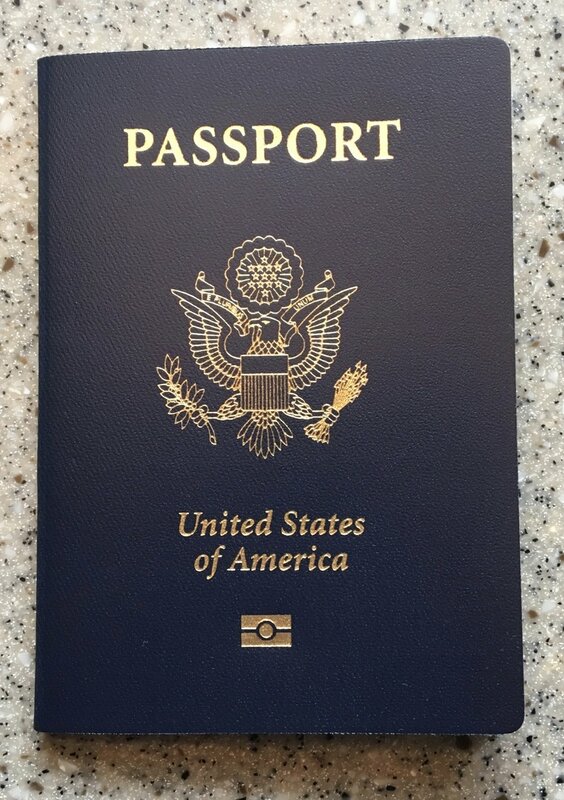 A few weeks after submitting my application I got another e-mail that my order was complete and my passport was on it's way home. Isn't that Chinese visa a beautiful sight? 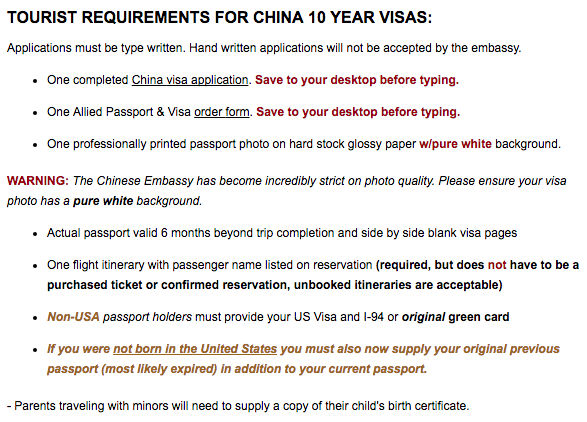 I'm stoked to start exploring China with my new 10-year tourist visa. 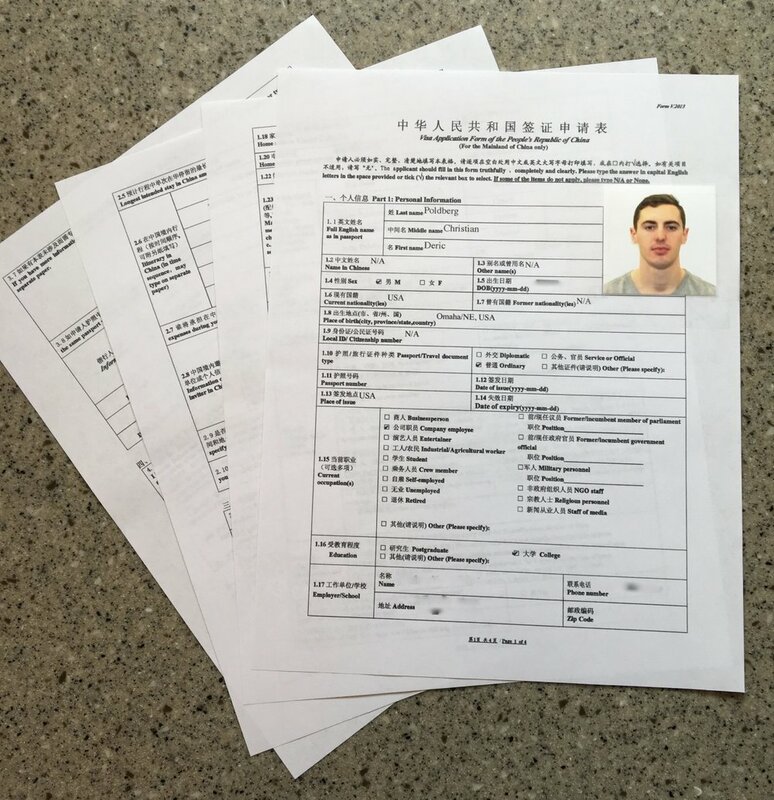 It can seem like a daunting task at the time, but if you have any interest in visiting China I'd strongly recommend getting your visa. I'd like to thank Allied Passport & Visa for doing such a great job. They truly take all of the hassle out of applying for and obtaining a foreign visa. How has your experience getting a foreign visa been? 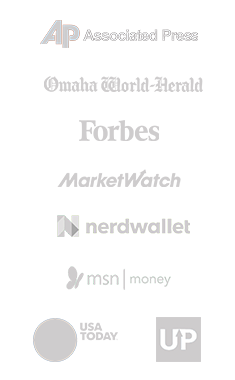 Did you use Allied Passport & Visa?